Gar Alperovitz joined Ralph Nader on June 24, 2017 to discuss his new book Principles of a Pluralist Commonwealth and give an encouraging progress report on how the New Economy Movement is transforming the system. It’s time to build new economic institutions that are democratic but also–critically–give us a new power base as well in the communities around the country. Click here to listen to the full program. 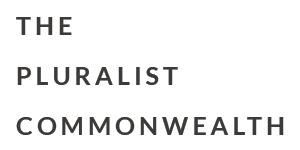 This entry was posted in Audio and Video, Principles of a Pluralist Commonwealth, Uncategorized. Bookmark the permalink. Both comments and trackbacks are currently closed.